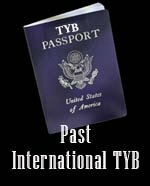 TYB is off to China! Our first stop outside the U.S. boarder! Our journey started off with an adventure of its own. Jena (my girlfriend) and I loaded up our two backpacks in her 87 Toyota Four Runner, in Santa Cruz, CA, and headed to Palo Alto. There we hooked up with and old friend of mine, Mike, who gave us a ride to the train depot in downtown Paly. I grew up in Mtn.View, the bordering city to Palo Alto. I used to take the train a lot to San Francisco to party and listen to live music in the late 80s. Back in the day we would jump on the train wait for the attendant to come by and pay him direct, for our tickets. Well its 2010 and things have changed! When the guy came by to ask for our tickets I was ready to hand him some money. Little did I know that we were supposed to purchase our tickets at the train station and provide the ticketmaster with a ticket only. OOOh yeah the fine for riding the train without a ticket is $270.00 bucks. Yikes! We got really lucky! I talked to the guy and explained its been over twenty years since I rode the train and had no idea how the system works now. The guy must have liked us because after begging him, that we would pay for our tickets after we got off the train, on good faith, he came up with an idea. We needed exact change and it had to work quick for this to work. About five stops later, the conductor let me get off the train, run to the ticket machine, buy two tickets and get back on the train in record time. I dont know how I did it, but I pulled it off. I thanked the guy about five time and shook his hand. Twenty minutes later we got off the train, said our goodbyes and hopped on Bart. Our ride on Bart was short, only a few stops to the San Francisco airport. I need a drink. We breezed through the check-in and the security check. I did have to strip down, and got pulled aside to be double checked, but the lines where short and security was doing a fine job keeping things moving. We had an hour and a half to wait for our flight so we headed to a bar called Andale. This is one of the main bars in the international departure section of SFO. After a few Anchor Steams I got to talking with our bartender who goes buy the name of Jaime. He was the first person to get one of our new TYB stickers. Jaime likes to work in the airport simly because he doesnt have to deal with a local crowd. He did explain there are a few patrons who fly a lot that he likes to see, but for the most part, its all new faces and new stories everyday. Jaime also works at The Silver Cloud in San Francisco. Which is a continental style restaurant with specials starting at $12.95, Karaoke, and of course a bar? He threw out props and said the food is excellent. TYB will have to check this place out. Jaime could not let us go without hooking us up with a drink of his own. So he mixed us up some SLOPPYS! Three quarters markers mark welcher, quarter almaredo. Not bad. I had two of those and I was all primed up for our flight. ANDALE! China was a great experience. We had a good time playing tourist and site seeing. We went to The Great Wall, Tiananmen Square, The Forbidden City, The Lama Temple, The Summer Palace, The Temple of Heaven and more. We thought we were going to spend a lot of time going out hitting the clubs and bars, but what went down was a whole lot of waking up early a lot of walking and site seeing. By days end we were so tired alls we wanted to do is sleep, not to mention it took two days to heal our jet lag. However we are drinkers, and thats what we do. For the most part I had a good time walking around with tall cans of Yan Jing. This is a china brewed beer. Not too bad in taste, kind of like a Budweiser/Tecate. Its a lite beer with a light flavor. We also enjoyed some other local beers such as Suntory, Beijing beer, Yangjing beer and of coarse Tsingtao. After talking with several natives, I would say that beer is a alcohol-lovers drink of choice in China. We also had a chance to try a few bottles of wine. My favorite was a bottle of Dragon Seal, this is a red wine. It was a fair tasting, at the price of about $25.00 per bottle. But what made it so special, is that we got to sit at a table, closer to the stage, as we watched the Chinese Opera. China has cultivated vines and has produced wines for over 4000 years. The wine producing techniques differs from those in the west. Western producers try to prevent oxidation in their wines, but oxidation produces a flavor that Chinese tipplers find desirable and go through great lengths to try and achieve. Most of the rice liquor (not sake) I tried, tasted horrible. For some reason I could not shack the lingering after-taste, and could not stop thinking I was doing straight shots of a multi-purpose cold medicine. Ill stick with the beers. One of the nights out in Beijing, we hit up a small bar/club called The Blue Green Room. Here we got to hang out with Simon. Simon is one of the youngest bartenders I ever drank with. For only being 21 years young, he has been working behind the bar for three years. We had a really good time hanging out with this young lad. He shared several drinks with us. He even opened a bottle of some stuff that was a$100.00 a shot. We took a whiff and left it at that. However we did have a few other drinks. One of my favorites was the Gin-Sing Rum. This was a mixture of rum ginger root and ginger leaf, left in a jar to ferment for three month. Fill up a glass with ice pour, in the mixture, and its on. This would be an excellent drink for a hot summer day at the beach. We also had a few other fermented drinks, like the Chow Wild grass. A blend of orange, grape fruit and lemon peals and of course, rum. These drinks are all a little bitter and require an acquired taste. We defiantly got our buzz on. After all this, we need to drink something a little sweeter. So we had a X-mas pudding. This is a mixture of Rum, Bitters XUXU(strawberry Liquor) and cranberry juice. Smash up a bunch of ice in a glass with a splash of lime throw in the contents and you have a great party drink for any occasion. We had to pass the bar-time with some other entertainment, so Simon taught us how to play a few Chinese bar games. One was called The Round Table. Easy concept. You have twenty pins randomly placed in a round shaped board. There are five colors. You roll the dice to see what color each player is. Each player takes a turn at pulling two pins. You need to match the color of pins to keep them. The player with the most pins, when theyre all gone, wins. Another game is The Number Game. There is a board with the numbers 1 -12. Each player would play a round by themself. A round would consist of multiple rolls of the dice. Each time you rolled the dice you would knockdown the number that appeared on the dice. For example if you rolled a 3 and a 5. You could knockdown an 8, or a 3 and a 5, or a 6 and a 2 and so on. You would keep rolling the dice until you could no longer knockdown any of the numbers 1 through 12. After a player could no longer make a move you would add up the numbers, that you could not knockdown, and that was your score. The player with the lowest score wins. China was a awesome time. We only had eight days to spend in Beijing and Shanghai, which was just not enough. I cant say enough about the hospitality of the people, the wonderful food and all the historical sites china has to offer. 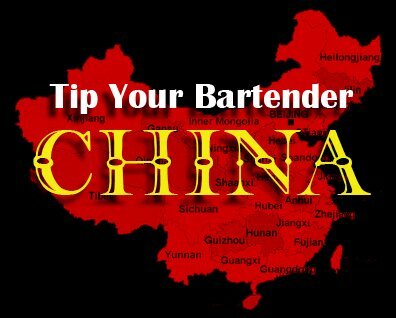 With no disrespect, if your going on a trip to drink, and drink only, I would think twice about China. I would rate the quality and taste of Chinese alcohol really low.